The EU Directive establishing minimum standards on the support and protection of victims of crime provides a significant opportunity to advance access to rights and justice for undocumented victims in Europe. Article 1 of the Directive affirms that the rights and minimal standards set out apply to all victims of crime irrespective of their residence status. Member states have until November 2015 to transpose these rules into national law and practice. How well this Directive manages to secure the rights of undocumented victims in practice will most certainly depend on the strategic efforts of the migrants’ rights movement in engaging national authorities during the transposition process and holding them accountable once it is complete. Meeting on International Human Rights Day, 10th December 2013, 15 PICUM members from 10 countries came together for PICUM’s third working group on access to justice for undocumented women. To view more photos of the working group meeting, please click here. On this occasion, discussions focused on the Victims’ Directive, its significance and potential impact, exploring its use as an advocacy tool and planning how PICUM’s broader network may mobilise around this important opportunity. The working group was pleased to welcome members of the Victims’ Rights Team of European Commission Directorate-General Justice who provided an essential overview of the text, the rights and protections it provides to all victims and the obligations it places upon member states with regard to minimum rights, support and protection. Across the EU, undocumented migrants are disproportionately exposed to violence and exploitation at work, at home, and on the streets. The increasing tendency to link access to justice and services with immigration control mechanisms places undocumented women in a particularly vulnerable situation. Because of their inability to provide valid residence documents or make a financial contribution, they are denied legal assistance and access to women’s shelters meaning they can easily become trapped in situations of violence. As their irregular status means they risk arrest and deportation if making contact with police, state services or officials, they are effectively a zero-risk victim, systematically targeted by perpetrators benefitting from this protection gap. In criminalising victims or witnesses who seek justice, the laws and policies of many EU member states provide systematic impunity to perpetrators targeting those with an irregular status. PICUM members are well aware of the urgent issue at hand. Since 2010, PICUM’s working group on ‘Access to Justice for Undocumented Women’ has come together twice a year to learn, to share and to strategize. Dealing with the daily problems arising from the tendency to link access to rights, protection and justice with immigration control, these organisations are dedicated to ensuring long term and effective policy change for undocumented migrants. Indeed, it was the evidence, experience and innovation of such members in challenging these barriers which inspired PICUM’s seminal report ‘Strategies to End Double Violence Against Undocumented Women’. Launching this report in the European Parliament when the Victims’ Directive was under consideration for amendments, PICUM fostered cross party support among MEPs for addressing the rights of all victims irrespective of residence status. As a result of civil society efforts, parliamentary amendments were made to DIRECTIVE 2012/29/EU establishing minimum standards on the rights, support and protection of victims of crime oblige member states to apply the Directive in a non-discriminatory manner. Provisions include, among others, the right to information (Art. 3-7), right to access victim support services including shelters, trauma support and counselling (Art. 8-9), right to participate in criminal proceedings (Art. 10-17), right to have special protection needs recognised (Art. 18-24). By obliging member states to ensure these rights to all victims of crime irrespective of residence status, this Directive holds the potential to become one of the most significant legislative tools at EU level to address impunity for crimes waged against migrants in the EU. How these legally binding minimum standards are integrated into national law and policy however, depends entirely on the transposition process. Since the Victims’ Directive entered the EU Journal in November 2012, national authorities have exactly three years to implement its provisions into national law1. Therefore all EU member states, with the exception of Denmark who has opted out2, have until November 2015 to ensure their laws and policies adhere to the minimal standards of the Directive. Member states have been encouraged by the European Commission to conduct an open and coordinated policy dialogue with key stakeholders and ensure interagency cooperation. This Directive is a key tool for legislative reform on access to justice for undocumented migrants. It has implications upon national criminal codes and procedures as well as victim support services and immigration enforcement practices. Ultimately, how it translates into practice depends on how the authorities tasked with implementation understand the specific barriers facing undocumented victims of crime, and their obligations under the Directive to address them. What Will Happen After the Transposition Deadline? Of course, legislative reform is only the first step. As many of the Spanish participants of PICUM’s working group underlined, there is often a significant gap between legal rights for undocumented victims and the treatment that they receive in practice. 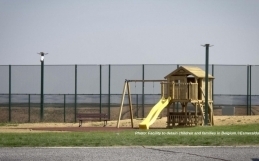 While Spain leads the way in terms of legislative protections for undocumented victims of gender-based violence3, with legal reforms affirming a woman’s experience of violence must be given priority over immigration control mechanisms. In practice however, organisations working on the ground report that undocumented women seeking justice may still face arrest and deportation if reporting violence. After the Victims’ Directive transposition deadline of November 2015, frontline NGOs, advocates and service providers working with undocumented migrants will also have an essential role to play in holding member states accountable regarding their obligations. Now is the time to raise awareness, to foster understanding and build alliances with those committed to justice, human rights, and rule of law, be this in the domains of gender equality, victim support, rights of the child, workers’ rights etc. There are countless long-term benefits to enriching discussion, improving perception, and developing strategic partnerships on access to justice and rights. How can PICUM’s Network Use the Directive? PICUM’s working group came up with lots of effective and practical suggestions for how the broader network can use the Victims’ Directive to bring about positive change. Firstly, by directly engaging national authorities to influence transposition (for instance, writing to parliament, requesting a meeting with authorities tasked with implementation, arranging training sessions for delegates or ministries, outlining specific changes required to ensure protection of undocumented victims) and secondly, by using the Directive as an awareness raising tool (gathering testimonials from undocumented victims, gaining press coverage, using social media, conducting an awareness raising campaign on the rights provided by the Directive, convening discussions with national victim support agencies and services on the Directive, engaging progressive networks of lawyers and legal experts). 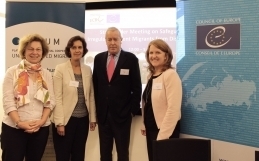 Convinced of the potential of the Victims’ Directive to significantly advance undocumented migrants’ access to justice and rights across the EU, PICUM will provide timely, relevant, and pragmatic support to frontline advocates, service providers and policy makers throughout this process. We are currently developing a toolkit to inform, support, and inspire organisations and individuals, whatever their expertise or capacity, to engage with the transposition process and ensure that the rights of undocumented victims are not side-lined in law or practice. We will also provide an article-by-article ‘check list’ outlining the key considerations which national authorities must take into account to ensure the non-discriminatory essence of the Directive is realised in practice. These and other tools will be available to all free of charge on our website www.picum.org. 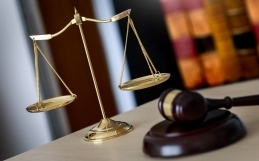 1 The EU Directive establishing minimum standards on the rights, support and protection of victims of crime [Directive 2012/29/EU ] was adopted on 25 October 2012 and entered into force on 15 November 2012. The EU Member States have to implement the provisions into their national laws by 16 November 2015. 2 Under the Treaty of Lisbon, Denmark may opt-out of legislative measures in the Justice and Home Affairs framework on a case-by-case version also applying to Ireland and the United Kingdom. While Ireland and the UK have opted-in to the Victims’ Directive, Denmark chose to opt-out. 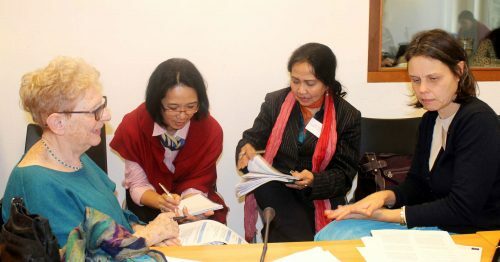 3 For a detailed overview of the legislative framework providing rights and protections to undocumented women victims of gender-based violence, see PICUM’s report “Strategies to End Double Violence Against Undocumented Women: Protecting Rights and Ensuring Justice”, pp. 103-107.